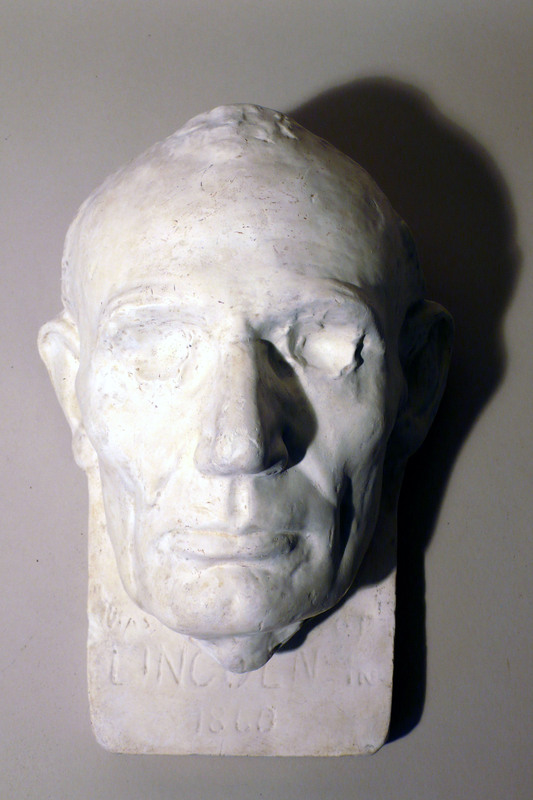 During Lincoln’s visit to Chicago in the early spring of 1860 to argue a court case, sculptor Leonard Valk (1828-1895) asked him to sit for a bust. 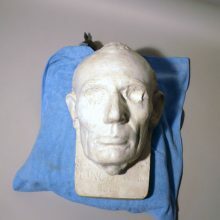 When Lincoln consented, the artist decided that to keep the sittings to a minimum he would start by doing a life mask. 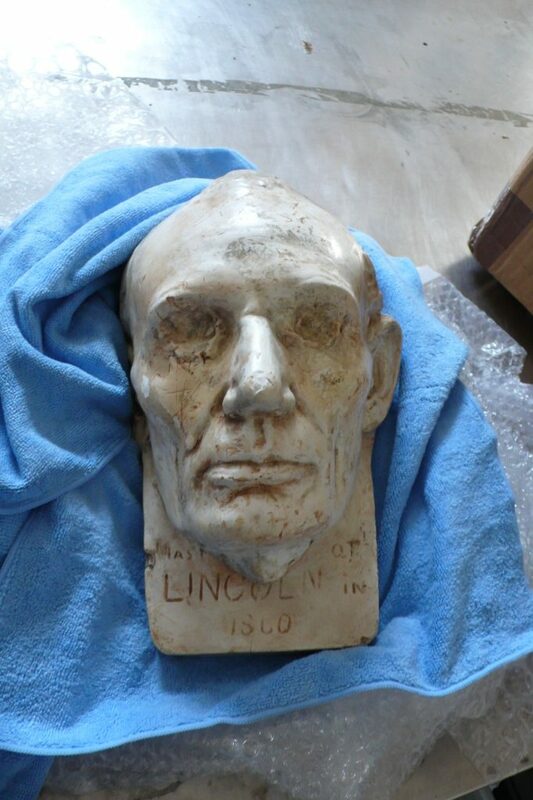 Castings from the mold exist in several collections. A zinc tab inserted into the obverse certifies its authenticity. 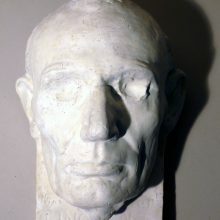 The plaster mask had been coated with several layers of organic coatings, a resinous bee’s wax and varnish layer, and a wax top coat that had become blackened and soiled. 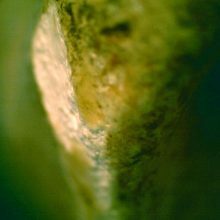 The increasingly yellowed varnish was brittle and was pulling away from the plaster leading to damage of the substrate. The zinc plaque was in an advanced stage of decay. The high pH of the surrounding plaster led to corrosion of the zinc, which had lost approximately 40% of its surface entirely and the remainder was heavily deteriorated. 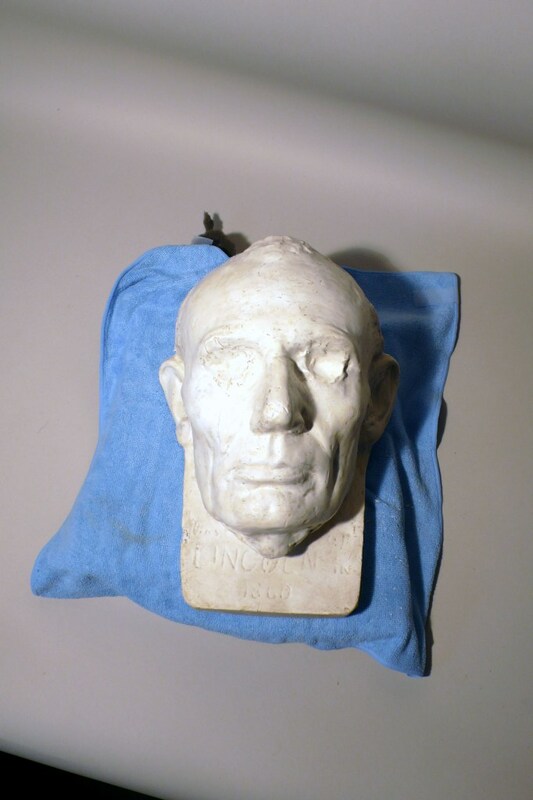 Our conservators conserved the bust by carefully removing the many layers of organic coatings using a sequence of solvent gels and wipes. Extreme care was taken to avoid damaging the plaster substrate throughout the work. 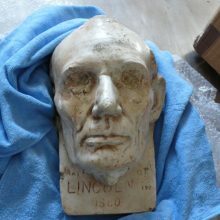 Upon completion of the cleaning, small losses were filled with an inert bulked filler and the bust was coated with a conservation grade wax. Corrosion products were removed from the plaque with scalpels and it was encapsulated in a methyl-methacrylate coating.